One of the things that I have developed an intense love hate relationship with is manicures. I love it because it makes my nails look so much prettier but at the same time, I loathe it because it always gets botched. You see, I do a lot of stuff with my hands and not being able to move it for 1 hour to 1.5 hours after it gets painted is near impossible for me. Thankfully and wonderfully, this was not the case with Shellac Nail Polish which is under the CND line. 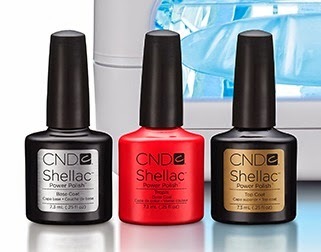 Creative Nail Design, Inc. (CND) is the global leader in professional nail, hand and foot beauty – including CND® SHELLAC® brand 14+ day nail color and VINYLUX® Weekly Polish. With CND® products, nail and beauty professionals can discover endless possibilities to create stunning nail art designs, color layering options, fashion trends and enhancements. So the first thing they do is to soak your nails to make it softer. After they clean it, they put a base coat and truth be told, the base coat looks very nice already and is something that most people can get away with. It just makes your nails look so clean. They then put in your hands inside this machine that cause the polish to dry up instantly. Afterwards, they put in 3 coats of the nail polish to ensure that it would look really good and as you can see in the next set of photos, it looks classier and the finish is so much better. It dries up instantly and you can just do whatever you need to do without fear or worry that you would botch your nail polish. This is simply amazing. Thank you so much CND for making this product. It is simply amazing. Those colors look great on you! 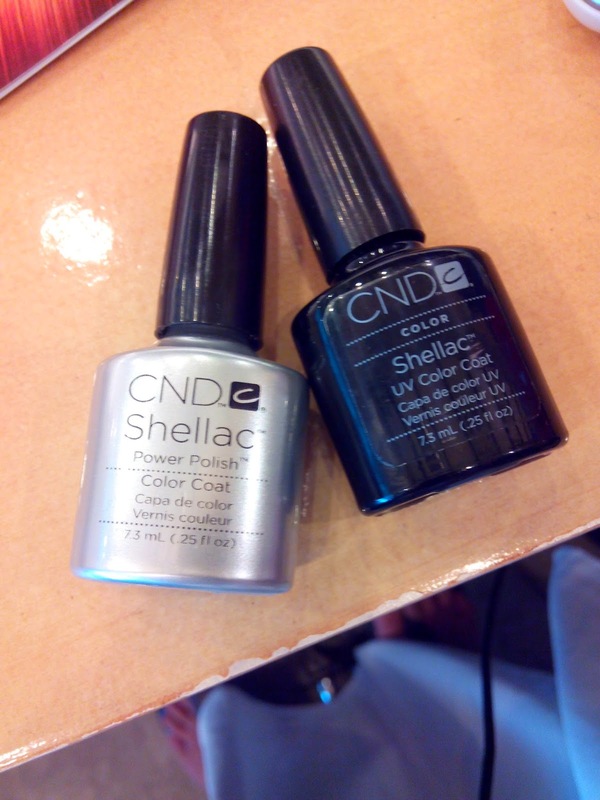 I've never heard about shellac nail polish, I will try them. I love the colors. Your hands looks lovely. I want to try this brand. Your nails look really fab! This is the first time that I heard this shellac nail-polish and it looks good. Wow, this brand looks so nice. I love the colors of your nails. I love how long it lasts! Like you, if I don't use shellac, it will chip within days. I've never tried this brand before! It sounds amazing and I like the colors that you picked! Your nails look really lovely! I love manicures too. However, mine get smudged within 5 minutes of leaving the salon, lol! This sounds like a great product! I'm tough on my nails and need a product that lasts. Wow! that's amazing, less hassle the better. Love the colors! Omg how fab!!! I must get my hands on this polish!!!! I love shellac! I tried it once and I never went back to normal nail polish. No worries for up to 3 weeks! Amazing! My favorite part of shellac is that my nails are dried instantly! I don't have to worry about smudging my nails!! I also have a love hate relationship with manicures. I love the look but I am a horrible nail biter. Eek! Wow, that looks amazing. They look so strong and shiny to me. I would love to try shellac nail polish. Your nails looks great! I like how shiny the shellac turns out, and good to know they dry almost instantly because I tend to always mess up my manicures as soon as I leave the salon. Love the color combination and yes, the quality of the nail polish shows. I guess it would last for more than three weeks even if you do some real work with your hands.